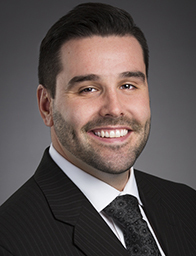 Justin Johnston - MoneyPower Group - Mississauga, Ontario | Raymond James Ltd.
Justin Johnston, a native of Sudbury Ontario, has over 10 years industry experience ranging from compliance to private wealth management. Justin is dedicated to being his clients’ first choice for all financial matters. Whether its educating his clients about corporate finance, or helping them save for their kids’ education, Justin is always looking for ways to improve his clients’ experience. His knowledge, depth of experience and strong interpersonal skills are significant assets when helping clients achieve their goals. Justin holds a Honors Bachelor of Commerce degree from Carleton University and has successfully completed various courses through the Canadian Securities Institute. Just also holds the prestigious Charter Financial Analyst CFA® designation and is a member of the Toronto CFA Society. When Justin isn’t in the office, he enjoys spending his time with his family. He is also a sports enthusiast and enjoys playing baseball and basketball. No credential is as widely regarded in the global financial industry for its rigorous focus on current investment knowledge, analytical skill, and ethical standards as the Chartered Financial Analyst designation. A charterholder not only has the technical knowledge to make investment decisions but also adopts and is held to the highest ethical standards. A comprehensive, global view and up-to-date practical skills give these investment professionals the tools and deep understanding necessary to effectively analyze the risks and rewards of a variety of investment types, enabling them to address a client’s specific investment needs.